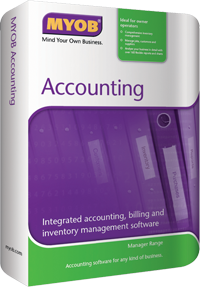 MYOB Accounting software is one of the most popular accounting software in Malaysia. It is easy to use, user friendly and is suitable for small to medium sized companies. As MYOB Malaysia Professional Partner, we are certified to provide pre-sales and after sales services to you. Our consultants can provide the best advice on which MYOB Accounting software is suitable for your business. We have trained personnel (who are qualified accountants, by the way) to setup, instal and implement the MYOB range of software - MYOB Accounting, MYOB Payroll and MYOB RetailManager for your business. Do you know that with MYOB Accounting software, you can design and customise your own professional looking invoices and purchase order? 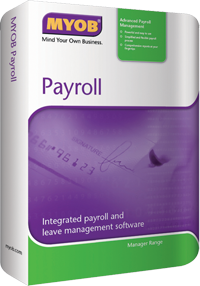 You can also use MYOB Accounting software as a cheque writer, and update your cashbook and your accounts simultaneously. Whether you are just starting out in a new business, or have been in business for quite some time, you can count on us to help you become more efficient in managing your business. We don't just sell the MYOB software. 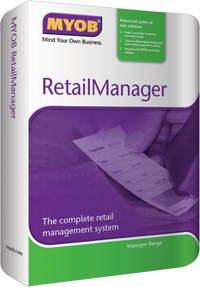 We make sure you know how to use the accounting software. We make sure you have a reliable and dependable accounting system to run your business. If you are serious in your business, so are we. Do explore our site and read how we have helped some 800 Malaysian business owners automate their business. Our clients are our partners and we welcome you to the MYOB Malaysia family. Want to try out the MYOB system before you decide to buy? Email us your request and we will send you the link to download the MYOB software for free. Please tell us a bit about your business so that we can offer the right solution for you. Great news! 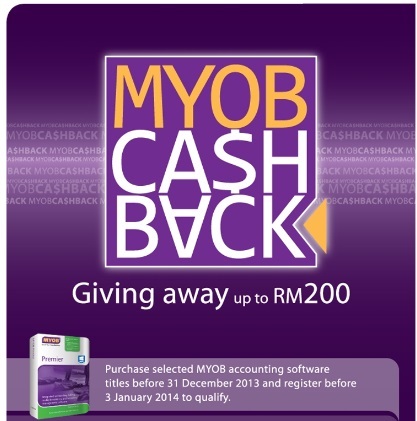 MYOB Malaysia is offering cashback of up to Rm200.00 for purchase of its latest MYOB Accounting software - MYOB Accounting, MYOB Payroll and MYOB Retail Manager. Hurry, call us at 016-212 0476 before the month is over! Promotion ends April 30, 2013. Good news to MYOB users! We are glad to announce that our Company's MYOB trainer is now an approved HRDF Certified Trainer. This means that if your Company contributes to the HRDF, you can make a claim for rebate of the training fees, which effectively means your training is FREE. What can we, your MYOB Professional Partner do for your business?